Ok, so this one is not local, but it’s not that far away. Today I want to sing the praises of Glenn Stephens founder of the Rex Artisan Bakery in Little Chalfont. I want to shout to the roof-tops that I finally found a worthy ciabatta here in the UK. It’s not an easy thing to come by and I’ve been looking far and wide. Turns out I’m not the only one who loves Rex ciabatta…. they won an award for being the best in the country. You can enjoy Rex Bakery bread at Marlow’s Satollo who really know their stuff. They love Rex bread so much they’ve even developed their own focaccia with Glenn for their sandwiches. But that’s not being sold retail. Yet. The Rex Bakery in Little Chalfont looks much like other bakeries around the UK. There’s a glass bench top cabinet with cakes and sausage rolls, there’s a couple of seats and a coffee machine, and of course there’s some bread on the shelves. But Rex’s is not like every other bakery. 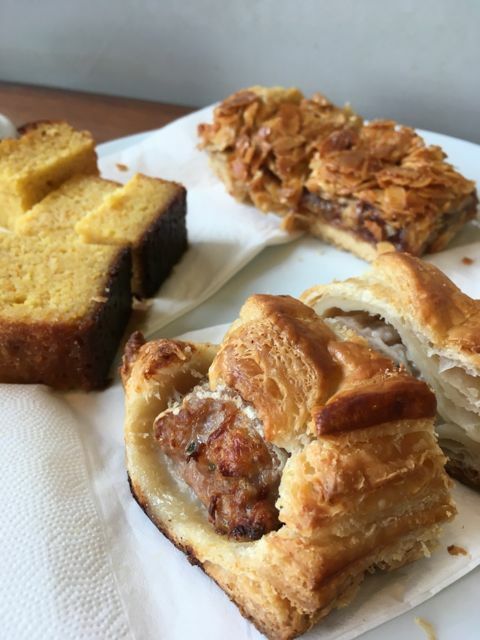 The cakes are carefully chosen, made with recipes from Peter Gordon and Dan Lepard, the sausage rolls have been made with house-made puff and local sausage meat, and the ciabatta on the shelf has been named the best in the land. And it is truly deserving of this title. After prototyping his bread for about 6 months, Glenn was ready to launch his career at Village Day in Little Chalfont where he sold sourdough, sausage rolls, Benedict Bars and pastries. Today he has a much bigger product range that is constantly fine-tuned and added to. 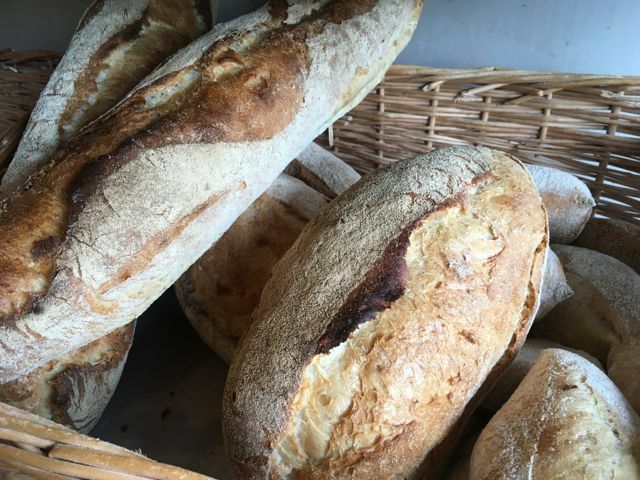 Influenced by recipes and techniques from all over the world, Rex has since won 14 medals across the 2014- 2016 World Bread Awards & awarded Best Ciabatta in Britain 2016; voted Bucks Best Artisan Bakery 2015 & 2016, judged Best Chilterns Real Bread Bakery 2016 with a Multi-seed loaf judged Best British Bread in the Great Farming Awards 2015. Stephens broke the mould when he went into finance. “For as far back as the family tree goes, we have been in the military” says the baker and it was growing up in this climate of frequent travelling and a family history that followed the Empire to its furthest reaches that has given him a rich appreciation of world cuisine. After visiting New York and deciding that Jim Lahey’s bread was the business, Stephens made it his business to try and replicate Lahey’s mastery of the Italian style of bread making. He incorporates long-fermentation techniques influenced by Richard Copsey from Enfield’s Holtwhites Bakery, Wayne Caddy from the School of Artisan Food, French and American bakers like Eric Kayser & Calvel, Jeffrey Hammelman and extensive research and development. Hi Caroline, all we need to do now is find someone to sell the bread in Maidenhead!